Since last Wednesday, this quote could easily apply to Brexit as well. 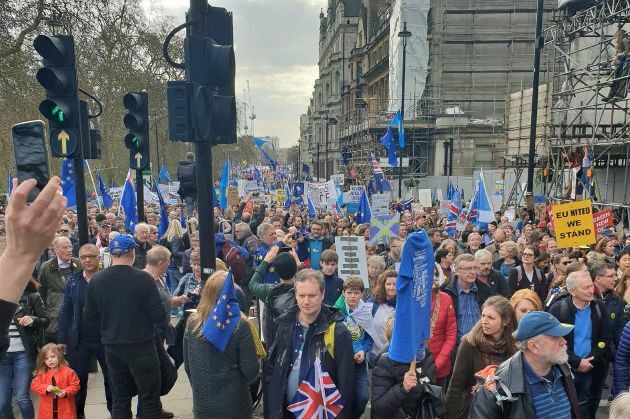 The UK’s withdrawal from the EU, originally planned for the March 29, had already been postponed once for the April 12 or the May 22. On Wednesday, EU leaders and Theresa May decided to again delay, this time for the end of October, the historic moment. The possibility of a further extension has not been ruled out. The extension was deemed necessary given the catastrophic consequences that a disorderly Brexit could cause to the UK and the EU economies. UK Prime Minister Theresa May used to declare that “no deal is better than a bad deal.” Her constant application for delays of the fateful date, however, are a tacit admission that the UK is far from prepared to face the eventuality of no deal. Almost three years after the referendum, the British public and the politicians and civil servants on both sides of the Channel that work on Brexit feel increasingly fatigued, if not exhausted, by it. The breathing space that the extension creates is more than welcome for all of them. Having said that, it is difficult to see how this extension could help change the fundamentals of the current gridlock. Renegotiation of the Withdrawal Agreement: Arguably, the main reason why the Government is applying for extensions is that the Parliament has already rejected three times the Withdrawal Agreement that Theresa May has signed. The main stumbling block seems to be the infamous ‘backstop’. The EU has made clear that the Withdrawal Agreement including the backstop is not open for renegotiation. In addition, the new deadline for Brexit is set for a day before the new EU Commission will assume office. This means that the UK cannot even depend on the kindness of the new Commission president for a renegotiation that could lead to a deal closer to British demands. Reaching a consensual way forward: UK politics is famously adversarial. The suggestion that the UK political elites will reach a consensus on the most controversial political issue seems unlikely to many political commentators. In that sense, it is hardly surprising that the Parliament in two series of indicative votes managed to reject all possible options for the future UK-EU relationship. The prospect of a no deal on March 29 and April 12, however, recently made the two main parties to sit around the same table to reach some kind of consensus. Following the latest six-month extension, though, Downing Street underlined that those painstaking negotiations will not continue just for the sake of making a consensus possible. Second Referendum: Apart from the fact that there is no majority in the House of Commons in favour of a referendum, one has to point out that the organisation of such a democratic vote will take around six months, as the UCL Constitution Unit has explained. Unless over the next 3-4 weeks, there is some kind of damascene conversion in the UK political personnel, a further Brexit referendum seems a very distant prospect. Elections: It is clear that the Government does not enjoy a majority in the House of Commons over its flagship policy. During normal times, that would have led to parliamentary elections. However, the embattled Prime Minister cannot officially be challenged by her party until next December, two months after the expiry of the extension. Of course, elections can also take place if the government suffers a defeat in a vote of non-confidence. It is difficult to see, however, how Conservative MPs will vote against their government, having in mind that this would endanger their position in the House of Commons and could lead to a Jeremy Corbyn-led government. Alternatively, the PM herself, could pave the way to elections if she resigns. However, the chances of Theresa May resigning -whose resilience is often likened to the one of Monty Python’s Black Knight- are rather minimal. But even if elections do take place, there is no guarantee that the views of the next Parliament will be fundamentally different to the current one given that the views of the electorate have not changed either. All this leaves us with the real possibility that at the end of next October, the UK government will be applying for yet another extension. Unable to spell out the trade-offs and compromises that the UK’s withdrawal from the EU entails, the British political elites find themselves entrapped and frustrated by a project they have never seriously prepared for. During the long hours of endless parliamentary debates, European summits, interviews, TV panels etc. there starts to be a suspicion that there is a growing number of people that would prefer the UK to “pull a George Constanza.” In an episode of US sitcom Seinfeld, one of the central characters - George Costanza - quits his job in a huff, then goes back into work the next day as if nothing had happened, something that the show’s co-creator, Larry David, himself had done while working at Saturday Night Live. *Dr Nikos Skoutaris is a Senior Lecturer in EU law, UEA. His website focuses on Secessions, Constitutions and EU law. Follow him on Twitter.